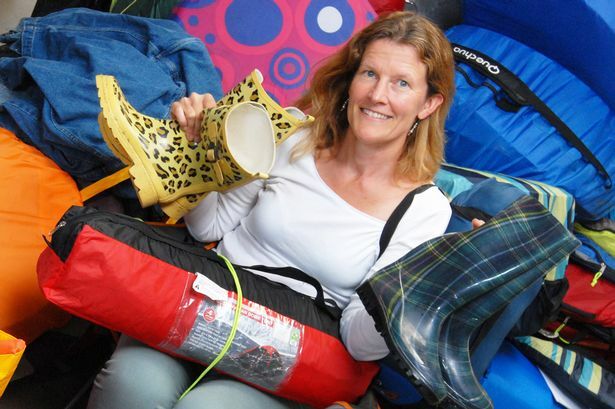 A sale of the nearly new camping equipment left by revellers after this year's Reading Festival is being held tomorrow, Sunday 31 August from 10 am until 3 pm in Mapledurham Pavilion. There will also be a tea and cake stall. Volunteers organised by the Warren & District Residents Association (WADRA) have worked with Festival Republic to tidy up and minimise wastage by collecting up discarded equipment after the end of the Festival last weekend. Do come along to the Pavilion and take advantage of the knocked-down prices of tents, sleeping bags, wellies, camping chairs and other equipment tomorrow: All monies raised will go towards the regeneration of the Pavilion! Note: The Pavilion is on Mapledurham Playing Fields, off the A4074 (Woodcote Road), Caversham Heights, Reading, RG4 7EZ.